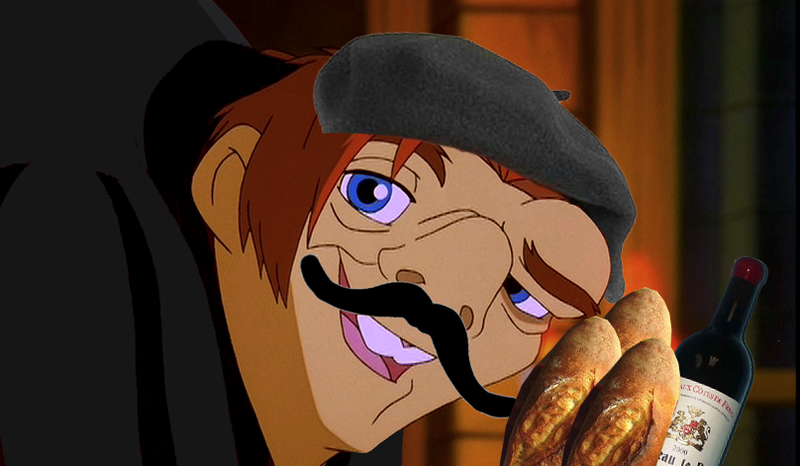 He maybe ugly as sin but remember ladies, Quasimodo is a Frenchmen so looks don’t matter. Not when he’s armed with that Beret, that Mustache, those Baguettes and that Red Wine. No woman can resist the charms of a Frenchmen even the ugly ones.